At Barnton Community Nursery and Primary School reading is our thing! 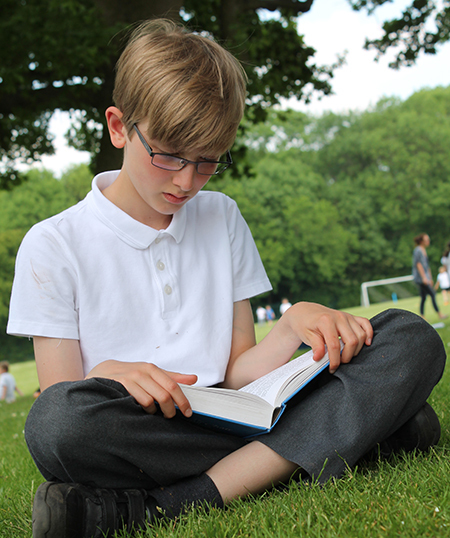 Our aim is to instil a love of reading in all our children that will stay with them throughout their lives. We have created a reading village at the heart of our school, where children can relax and read during break-time and lunch-time as well as using the space for guided and shared reading sessions. As soon as children join us they take a book home to share with their family. We colour band books, according to difficulty. Texts from different published reading schemes and picture books are included: fiction and non-fiction. Reading a variety of books develops good habits and independence. Children read different authors and types of text, such as poetry, stories, reports, explanations and recounts or diaries. They develop preferences and use the different styles in their own writing. With challenging texts in school and taking home books at a comfort level, children gain fluency and mastery in both decoding and understanding their books. In the early years we develop decoding skills and then move to developing children’s inference and comprehension, whilst developing a rich and varied vocabulary. Our aim is to nurture lifelong readers and hope children will curl up with a book and read their favourite stories over and over again. Just for the love of it!